This year will mark the 25th year death anniversary of Kishore Kumar. The legendary Lata Mangeshkar called Kishore Kumar the 'Sampoorna Kalakar' (complete artist). For millions of listeners worldwide Kishore Kumar's voice is sheer magic and his presence on screen, a laugh riot. The most versatile personality of all times, Kishore Kumar was one of the few artistes who could act, direct, sing, and compose. There are many facets of the genius, which added up to what Kishore Kumar as a person was - eccentric, crazy but one of the biggest entertainers. Kishore Kumar's voice became synonymous with all the leading actors of his era including the evergreen Dev Anand, Bollywood's first superstar Rajesh Khanna, the angry young man Amitabh Bachchan and chocolate hero Rishi Kapoor. Both his sons, Amit and Sumeet Kumar, will pay tribute to their father in this one-off concert. 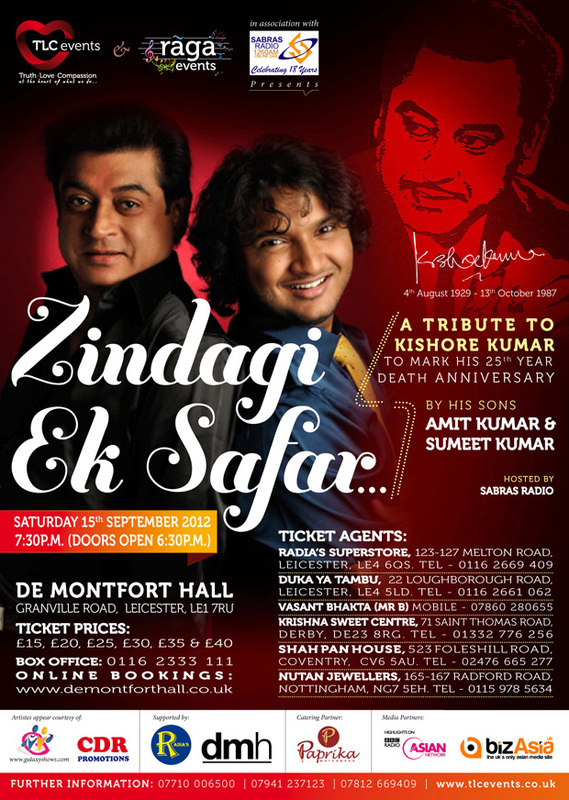 Zindagi Ek Safar will be hosted by Sabras Radio and use audio visuals to chart Kishore Kumar's journey. For me singing is the first priority after which comes music and thereafter maybe acting. I believe acting is all make believe while music touches the heart of the listeners.